New website describes how to form a Colorado LLC, step by step, with or without a lawyer. Step 1. Choose a name. Go to http://www.sos.state.co.us/biz/BusinessEntityCriteriaExt.do and search combinations that appear similar to the name you want. For example, if you want ABC Real Estate, LLC, search “ABC” and see what else comes up. Also, keep in mind that even though a name is available, it does not mean it is kosher to use. For example, any restaurant with the name “McDonalds” in it may violate the federal trademark of McDonald’s Corporation. Also, if the name, “ABC Real Estate Inc” exists, you cannot form “ABC Real Estate, LLC”. Step 2. File Your Articles of Organization. 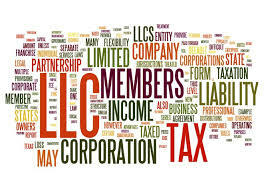 Go to http://www.sos.state.co.us/biz/FileDoc.do and choose “Form a New Limited Liability Company”. Step 3. Get a Federal Tax ID#. Go to IRS.gov and get a tax ID#. If you have two or more members, you generally file as a partnership, if one member than you file as “disregarded entity”. Check with your tax adviser. Step 4. Create an Operating Agreement. The operating agreement outlines the rules of the company and the identity of the managers and members. You can find an excellent one by clicking here. Step 5. Organizational Minutes. While not absolutely required, it is a good idea to create organization minutes of the meetings of the organizers and managers. Step 6. Open a Bank Account. You need to fund the company by having the member or members write a check to the Company to capitalize the company. Open a business checking account with this check. Step 7. Get a Dunn and Bradstreet Number. Not required, but a good idea for creating corporate credit.